Rochester High Street is a hive of activity. With a diverse range of shops, restaurants, cafes, museums and art galleries there are endless opportunities for engagement in the culture of the historic town. The cobbled street provides a quick route to Rochester Castle and Rochester Cathedral as well as giving direct access to historic houses and museums such as Eastgate House and the Guildhall Museum. The vast array of cafes and restaurants in Rochester mean that you will be spoilt for choice when it comes to lunchtime! From The Deaf Cat coffee shop to the Dot Cafe, there are loads of chances for a relaxing coffee and interesting conversations! There are also a number of restaurants in Medway to choose from if you fancy a full meal. The High Street is home to some artistic hotspots including galleries and craft stores in the shape of Frances Iles. At the end of the High Street there is a pop-up shop, where the contents and occupants change frequently, recently it was transformed into a tapas restaurant but has previously been an art gallery. A short walk from the High Street you can find The Vines; tranquil gardens, perfect for a stroll or a picnic. There are a number of events that take place every year on Rochester High Street that bring in the crowds both locally and around the world. One of these is Rochester Sweeps Festival which takes place on the May bank holiday weekend and involves live music, stalls and rides in Rochester Castle and morris dancing. This festival takes place twice a year and is a celebration of all things Charles Dickens who spent some of his life in Rochester. This event involves lots of people dressing up in costumes from that era as well as various stalls along the high street and in the Rochester Castle grounds. These days people also enjoy wearing steampunk outfits as part of the Dickens Festival. Rochester High Street has a wide range of shops, many of which have been there for a number of years. When walking along the High Street you will find pubs, restaurants, charity shops, cafes, art and craft shops and clothes shops among others. It is home to a number of quirky shops, such as Baggins Book Bazaar which is the “biggest second-hand bookshop in England” and be found towards the Strood end of the High Street. There is also the comic shop, Get Ready Comics, which was formed in 2011 and used to be on Strood High Street but made the move to Rochester in the last couple of years and can be found at number 168. Nimbus Lighting is another shop that has been there for a number of years and stocks a wide range of different types of lighting such as ceiling lights, table and floors lamps as well as even telephones. It really is one of those shops that you can spend ages just browsing but is also great for looking for something specific. Francis Iles Galleries is located roughly in the middle and contains a wide range of fascinating art items such as greeting cards, art supplies, toys, books and cards as well as having a very impressive art gallery. They have had a presence here for many years. Oxfam is probably the biggest charity shop on a High Street with many of them and is located in an impressive looking building at 25-29. They have a cool little room near the back which is dedicated to vinyl records and is updated regularly to it’s worth checking this whenever you walk past if you’re an avid collector as you never know what you will stumble across! At the front of the shop is where they display their furniture which is often of a high quality and is a great opportunity to find a bargain. There is also a piano near the front door but we’re not sure if this is for sale! As you walk in, on your right hand side you will find their collection of books for sale and it’s rather substantial so a great opportunity to find your next read. At the back there is a clothing section which is also a great chance to find something stylish at a reasonable cost. Sweet Expectations is a lovely traditional sweet shop where you can get all of the sweets that you used to have as a child. It will create a warm feeling of nostalgia when you walk in, due to the great look of the shop and the lovely, sweet smell, and has a great range of sweets such as flying saucers and Tutti Frutti Cubes. They also stock gluten free sweets and handmade Kentish chocolate and fudge. As mentioned, there are many cafes on the High Street where you can get tea, coffee and a lovely slice of cake. Bruno’s Bakes and Coffee is a place where they take particular pride in the quality of what they serve. Bruno, who grew up in Lyon, France, is one of the most passionate pastry chefs that you will ever meet and this is reflected in the quality of the bakes that you find here. This place is worth the trip to Rochester alone. Tony Lorenzo is a bakery and café located at number 145 and has been serving customers for over 30 years. This is one of the bigger Cafés, if not the biggest, and consists of several floors. At the front on the ground floor you can get take away baguettes and sandwiches whilst in the back and upstairs is the café area where you can order a wide range of hot and cold meals, cakes, desserts and drinks. Legend’s Cafe is just around the corner at 14-16 Victoria Street but is definitely worth mentioning in this list as it is one of the best “greasy spoons” in Medway. It has pictures of Hollywood legends on the wall and opens from 7am (I think) until 3pm and serves breakfast, lunch and dinner. Their fry-ups are fantastic and you can get all of the essentials including chips and thick cut toast with a tea or coffee. If you have one of their big fry-ups you probably won’t need to eat for the rest of the day. As well as delicious breakfasts they also do other great meals such as salads, jacket potatoes, pies and liver and bacon. Tiny Tim’s Tearooms is a lovely place located very close to the high street at number 5 Northgate which is near The Corn Exchange and Simply Italian restaurant. You will know that you’re nearby as you will be able to see the castle from outside of the teamrooms. It is highly regarded by locals for its lovely tea and coffee as well as the food that they serve such as scones, cakes and jacket potatoes. It is not a huge tearoom but there is enough room to feel comfortable and enjoy your drink, food and conversation with staff that have a reputation of being friendly and helpful. One of the highlights of Rochester High Street is the amount of high quality restaurants that there are. Thai Four Two is a Thai restaurant located at number 164 and the inside has lots of character but, be warned, you may need to book in advanced as it is often full, particularly on Friday and Saturday evenings. Their food is highly rated amongst locals and you can get favourites such as Pad Thai, Weeping Tiger and Red Curry which will satisfy many fans of Thai cuisine. Their service is also well regarded with comments such as “staff were overall friendly and helpful” and “the waitress was incredibly patient when dealing with such a big group” on their TripAdvisor page. Simply Italian can be found at number 55 which is down the road from the castle. Reviews locally are good and you can find a good atmosphere here with friendly staff. It is a vegetarian friendly restaurant where you can find a range of favourite Italian food such as pasta and pizza. As the restaurant is centrally located on the high street, it makes for a great place to get some food before moving visiting the cathedral and castle or the rest of the town. This restaurant is located across the road from Simply Italian and is a vegetarian friendly restaurant that serves British and European meals. It has a mid to higher level cost and is a family-run independent business that has been on the high street since 2004. This is another Italian restaurant on a central point of the street and is a large restaurant located at number 108-110. This is also a vegetarian friendly restaurant and has good reviews for it’s spaghetti and pizza meals. The price is in the mid-range and it is known to have a good atmosphere and friendly staff. Here you can find a range of delicious savoury and sweet food such as waffles, toasties, paninies, wraps, salads, ice cream, coffee and milkshakes in a stylish, modern interior. It can be found just off the high street, up the road towards the cathedral and castle at number 3, College Yard. At the time of writing, their website states that they are open seven days a week from 9am until 7:30pm. This restaurant is located at number 154 on the high street and has been there since 1992 in a wonderful Tudor style building. In this family run restaurant they serve a range of European food where they source their ingredients from around Kent where possible. Away from the main part of the high street (number 327) towards Chatham is Limehouse Thai which stretches over a couple of floors that has relaxed atmosphere and welcoming staff. Offering both sit-down meals and takeaways, they offer meals such as curries and weeping tiger at a reasonable cost with a number of reviews locally stating that this is the best Thai restaurant in Medway. It should also be noted that Limehouse Thai is vegetarian friendly. There are lots of places to get a drink and Rochester benefits from all sorts of pubs. There is a Weatherspoons near the Chatham end of the high street which is a pretty standard and has the usual benefits of a Weatherspoons branded boozer. The Crown is on the Strood end of the high street, opposite Rochester bridge, and has a traditional pub atmosphere as well as a sports bar which has a capacity of one hundred people and also two big projection screens, TVs, live sports and pool tables. You can also buy food at The Crown. Britannia Bar Cafe is not on the main part of the high street but is further up the road towards Chatham High Street. It is a relatively small pub and has a lovely atmosphere where you will feel welcome and can enjoy a quiet drink. If you are looking for food, their breakfast, lunches and dinners are highly rated and they have a wide range of meals that you can have. On a nice day, there is also a garden at the back to enjoy some food and drink in the sun. The Eagle Tavern can be found roughly in the middle of the high street at number 124 and is a great pub to go to if you are looking for some live music as there is something happening almost every day of the week from jazz to rock. This is a pretty large pub so they can fit plenty of people in and can lead to a cracking atmosphere and they also serve some excellent food. The garden is also quite big and has plenty of seating. This free museum is a great place to learn about the history of Rochester which includes the town’s connections with the famous author Charles Dickens. It’s located on the high street itself so is extremely convenient for anyone visiting the town centre, castle or cathedral. it’s moderately sized so will not take up all of your day to take in everything that it has to offer. This is at number 95 on the high street and has a cost to enter when it is open between Wednesday and Saturday. The museum contains information on Britain’s first refugees and the impact that they had including the trades and skills that they brought. The largest car park near the High Street is the multi-storey on Cory’s Road just off Corporation Street which is also near the train station. This has 302 spaces and 18 disabled spaces and is a long stay car park. The train station itself, which is located on Corporation Street, also has a car park with capacity of 162 spaces and 8 disabled spaces however this is a short stay car park. Other car parks around the High Street include Blue Boar Lane which is roughly near the middle of the High Street and has 131 spaces and 7 disabled spaces, Boley Hill car park which is near Rochester Castle and Cathedral but only has 22 spaces and 0 disabled spaces, Almon Place which has 24 spaces and 0 disabled spaces and The Common which is near Rochester Bridge and has 27 spaces and 0 disabled spaces. The busiest day of the week is Saturday when there is a mixture of locals and tourists in the town with Sunday being less busy but still a good number of people around. As many of the shops are open all weekend and throughout the week, a number of them are shut on Mondays so that’s probably the quietest day. In general, during the week Rochester High Street is a relatively quiet street and is a relaxing place to take a walk and browse the shops as well as get some lunch. At the weekends, there are lots of options in terms of things to do. We have already covered some of the various pubs that you can go to food and drink as well as the restaurants and there is also the Casino nightclub if you want to carry on your night out into the early hours. Saturday nights are generally the busiest night of the week and it can be quite busy especially compared to the daytime crowds. During the week, the high street can be relatively quiet as the shops close around around 5pm/6pm so the most likely thing that people will be doing in the evenings is going for a meal or in one of the pubs. There are sometimes events taking place such as film screenings and late night shopping so keep an eye on our Twitter and Facebook pages for updates on these. There are a number of hotels both on the high street itself as well as nearby. The Gordon House Hotel is roughly in the middle (number 91) and is opposite the cathedral with a great view of it. It has a good reputation locally and has free Wi-Fi, a restaurant and it’s own private parking for guests. Prices are affordable so this is a great hotel to stay at if your main reason for staying is to visit the cathedral and castle as well as to castle the town and views of the River Medway. Around ten or fifteen minutes walk away on New Road is St George Hotel which is often used as a venue for wedding and Christmas parties and is in a good location as New Road is one of the main roads running between Rochester and Chatham. It has a restaurant and bar which serves a wide range of food and drink and the hotel has a free car park. In nearby Strood there is a Premier Inn which is located in Medway Valley Leisure Park which is in a convenient located near the M2 so is perfect from driving to from both London and the coastal directions. It has all of the usual benefits of a Premier Inn such as a restaurant, free Wi-Fi and TV. If you want to get into Rochester High Street from here then you will need to drive as it is quite a long walk (probably around 45 mins). Just up the road, and which can be seen from the High Street, is Rochester Castle. The castle is maintained by English Heritage and in the past it was used to guard an important crossing of the River Medway. You are able to go inside the castle and look around. Whilst there isn’t a huge amount to see inside, the views from the top are some of the best that you can get in Medway and are worth the price alone. It’s best to go on a sunny day if you can as you will then be able to see across the River Medway, Strood, Rochester and beyond. The castle gardens are also particularly impressive and are good for a picnic or a walk and also host various events throughout the year such as the Castle Concerts and Christmas market. Across the road from Rochester Castle is Rochester Cathedral which is a beautiful looking building and one of the most popular attractions in Medway. It is a place of Christian worship and religious and musical events throughout the year. Particularly popular is the Christmas Choir in December which, if you can get hold of tickets, is a great way to get into the Christmas spirit. You are able to go inside the cathedral and there is also a crypt and library that you are able to explore as well as a lovely cafe. The Vines is a park just up the road from the High Street and is a lovely space to go for a walk or picnic but can be easily missed if you do not go looking for it. It is a Grade II listed park and can be found by walking up either Crow Lane from the High Street or up St Margaret’s Street and then turn left at Vines Lane. It can also be found at the bottom of Maidstone Road. Once there, you will be greeted by by welcoming trees, a green area to sit in and an impressive path to walk along. It is one of the most tranquil places in the heart of Rochester. If you walk towards Strood then you will come across some great spots to enjoy the River Medway such as at Rochester Bridge or if you want along the Esplanade which follows the river. Along this road there is also a park where you can go for a walk or have a sit down in one of the benches. This part of Rochester is also a good spot to watch the boats go by as they go under Rochester Bridge. Allgen Gaming is located away from the main part of Rochester High Street and is further up in the direction of Chatham at number 375 High Street (behind Cafe Moroc/Featherstone house). Here, you can play both old and new videogames in a relaxed atmosphere in a place that is welcome and where you will be surrounded by other gamers. The post office is located at number 130 at the back of Paydens (a chemist). It’s relatively small but doesn’t get as busy as some post offices. 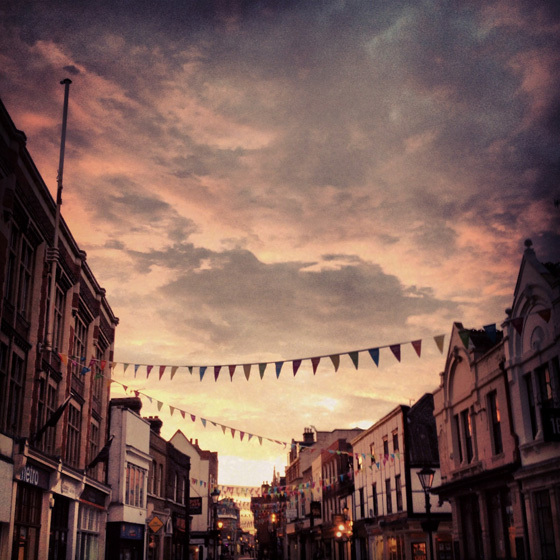 The postcode for Rochester High Street is ME1 1DJ.